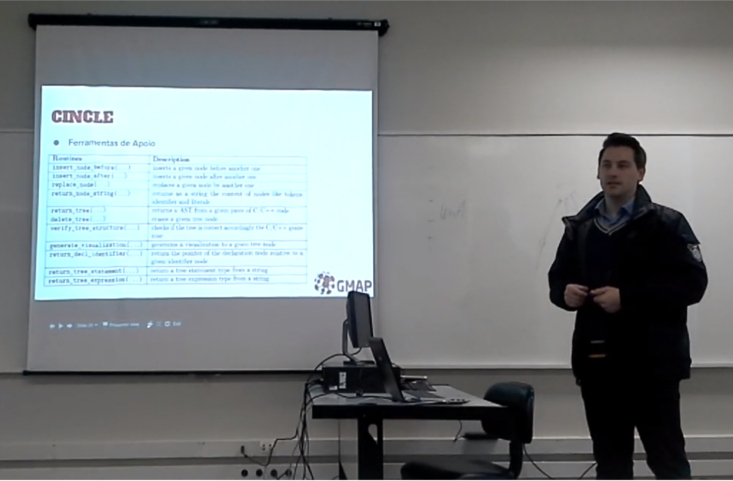 On Tuesday, June 9th, 2016, Dalvan Griebler (GMAP researcher) presented a seminar titled "CINCLE: a Compiler Infrastructure for New C/C++ Language Extensions" at the Faculty of Informatics of the Pontifical Catholic University of Rio Grande do Sul. The presentation was held at 11:00 am on room 516 of building 32 (FACIN). Dalvan Griebler presenting the 6th GMAP PPI Seminar.